This morning God told Rose Vieiria to change her normal route on her morning walk on Monday. While walking not uphill, but down and around, she was led to a God connection so unexpected for Jessica Hook and herself, then for her husband Brian. A casual “hello” on a street when they met, then a change of mind to go and pursue talking to each other could have been nothing short of the hand of God Almighty. You see Rose had just listed her home on the market because it had too many memories that were so difficult to live with. This was the home that she and her husband Kenneth Vieiria had so beautifully re-modeled. She had lost him to a tragedy in March of 2016. A man under the influence hit Kenneth with his truck while he was road biking. He died soon after in the Catalina Foothills of Tucson Arizona. She remembers driving home that day before the police called to inform her of the tragedy when she heard the Lord say, “The house is yours now Rose.” What kind of a message was that from God? She had thought. But It was true. Brian Hook also remembers that day. It was his first trip from Las Vegas to Tucson to pray about the possibility of planting a church. As he and another pastor were driving down the same road, they were blocked by multiple police cars and paramedics. Brian had a terrible feeling that someone had died, and he remembers being grieved more than normal. As Rose moved along on her morning walk, she noticed the sweet face of a little girl stopping to look closely at the vibrant yellow blooming cactus. As her mom was instructing her to carefully avoid the sharpness of the plant, Rose said a casual “hello” and walked on by. A few steps later, she stopped, looked back, and she made an intentional choice. She pursued a conversation with the mother and her little girl. Little did Rose know that Jessica was a church planter’s wife, who just arrived in Tucson as a missionary with her husband Brian to start Aspire Church in the neighborhood. She had woken up that morning feeling very alone in a new city with no friends, and she had cried out to God to bring a someone into her life who really believed in the power of prayer just hours before she met Rose outside. And Brian, well he was praying for God’s provision for a family that had committed to join him and Jessica in a few short months in Tucson to help plant this church. They needed a home close to the Hook’s neighborhood. Rose had been praying that a Christian family will move into her home so they can spread the gospel to the neighborhood. You see Rose is a prayer warrior. She has led prayer classes and attended many prayer conferences. She spends four hours every week on her knees praying with women from all across this city who belong to different churches. She was God’s way of saying to Jessica, I won’t leave you alone in the desert. She came just at the right time. As the morning progressed, Jessica invited Rose into her home to meet Brian. They instantly connected, and Rose lit up as Brian shared his vision for Aspire Church. Jessica wanted to tell Brian about Rose’s loss, but Rose started to tell Brian her story. Rose told Brian and Jessica about what a Godly leader Kenneth had been in the city. She also shared about her burden for the homeless and afflicted that lived there. They all agreed that the church in Tucson needs more warriors like Kenneth. That is why he called the Hooks. To make disciples and raise up men that will love Jesus the way Kenneth did. The three of them were excited to join in prayer. And there they stood, Brian, Jessica, and Rose in the Hook’s newly settled kitchen after the morning walk that God must have really enjoyed being a part of that day. Their hands were held, their hearts were full, and their spirits were instantly connected in a way like they had known one another for years. And Kenneth, well he must have been watching too thinking, goodness, they are only seeing just a smidgeon of His grace. Wait until they join me up here one day. What a party they need to invite the people Tucson to! A call to church-planting is not a call for just the husband. God did plant the first seed in Brian’s heart many years before He did in mine. But He knows the times and ways that He will carry out His will in our lives, and the calling didn’t come for both of us at the same time until He knew we were in agreement and ready. I have been moved several times to hear pastor Vance and Kristie’s story about the calling to plant Hope. One lesson I have learned from them is that you primarily have to have a “word from the Word.” I have believed that truth with my head, but it hasn’t been until the last two years that my heart has become fully engaged as I have been able to see it carried out. Two years ago, a guest speaker named Danny Akin delivered a sermon at Hope Church that was very impactful for me. One question that he asked was if your child could be remembered for being a star professional athlete or a missionary sharing the gospel, which would you choose? As a mother, it was very convicting and it challenged me in the area of living on mission as a family. Had we become complacent? How was I teaching my kids to live on mission? I thought of our oldest two kids in college and how they learned to serve and share this good news many years ago when we did our first church plant. They have often said what an impactful time that was in their life. The key verse that Dr. Akin used was from Romans 15:20, where Paul, a missionary of the gospel stated, “And thus I ASPIRE to preach the gospel, not where Christ was already named, so that I would not build on another man’s foundation. I physically felt in that moment as if that verse was being laid on top of my head. It felt so powerful. By the end of service my heart was pounding. I wondered if God was possibly going to send our family across the world, since the verse spoke of preaching where Christ had not already been named. One word that stood out in the verse was ASPIRE. I hadn’t heard that word used in scripture before, and it is not used in every Bible version of this verse. It is a verb that means “to want to do” something. For me, it speaks to our actions as believers since they do define what we truly want or value. I left the service that day full of wonder, asking God to show me more about this experience. In verse 19 of that chapter, it says that the reason Paul aspired to preach in the first place was because of the signs and wonders, and powerful acts of the Holy Spirit he had already experienced. Verse 21 says that they who have no news of Him shall see, and they who have not heard will understand. I immediately asked God to show me signs. I needed physical evidence that He was going to use this verse, and particularly that word ASPIRE to change the course of history in our family. God heard my request. The first sign came right after service that day. We wanted to take the kids to a new park, so we headed toward Mountain’s Edge. As we turned left into a community that led to a park, there it was... the word ASPIRE, engraved into a sign that named this new group of homes.  The next day, Pastor Travis Ogle had a shirt on that said APIRE. The following week, it appeared on a water bottle that was handed to my at the gym from a complete stranger. Of course, I doubted, and thought that must just be coincidence. So God stayed quiet for a season after that. About nine months ago, the word started to appear again. It showed up on a piece of mail, on the words of worship in songs at Hope Church for more than three weeks in a row, and on a shirt that Pastor Teddy Johnson wore that he claims he didn’t even know he owned. Pastor Teddy also prayed that verse over the congregation in the service I was in during that same time time frame. Brian noted that it had not been prayed in the other two services that weekend, which confirmed that it was for my ears to hear once again. God had already spoke to others that same week about how he would use us as a couple in a plan that I was yet to know about. One fellow believer had dreams about me being surrounded by cactus, and another heard our names through prayer. Days later, Brian was approached about church-planting in a mountain area that was unreached in Arizona. Soon after, we went to visit, I was astounded to see more cactus together in one area than I ever had in my life. I knew God was setting things into motion, but I hadn’t put my “yes” on the table yet. The most beautiful picture of how God uses scripture and other believers to confirm a calling came in April of this year. I sat down to pray one day with no Bible reading agenda, and no plan. I said in desperation, “God, I need one more sign. I need to know for sure that you ASPIRE to do this through the Hook family. I heard God say, “Look over at your phone.” My first inkling was to hit the Facebook icon, and I did. That day, a memory from over six years ago posted. It was a picture I had taken of my two youngest children’s feet. Upon posting the picture, a Godly woman in Texas that day had commented, “I wonder where those feet will take the good news one day.” At the time I remember thinking, oh that is so sweet, but we are going to live in this “very Christian bubble” in Texas until we die, so the comment didn’t mean much at the time. That day I felt loved by my Father more than I ever have before. He chose to use what is closest to my heart, my own two children to finally draw me in to ASPIRE to join this work that has already begun in the Catalina Foothills of Arizona. I had doubted enough. My best excuse was, “God, I don’t have it all together, even on my best days.” God reminded me that was the type of person He was looking for! You see our enemy, the great deceiver wants us to believe that the best way to peace is to have things under our control, and to live a safe and predictable existence as if some such thing really exists. But God, in His infinite passion for us, wants so much more. He really does want to give us every chance to not only ASPIRE to answer His calling, but the opportunities to do so. What is God calling you to? Have you taken time to ask Him to show you?